From Manila to Milan, fraud, bribery and organized profiteering are rampant in the water sector says a new report by Transparency International (TI), a global non-profit aimed at exposing and preventing corruption. The organization’s annual corruption report, presented last week in Stockholm, reveals the financial and human costs of water corruption. Hardest hit are the world’s poorest, the report finds. In impoverished neighborhoods from Kenya to Honduras, residents pay unscrupulous water vendors and entrepreneurs ten to a hundred times the normal rate for access to water where municipal supplies fail. This price gouging makes the actual cost of water more expensive for the poorest in Nairobi than for the richest in London. From the slums of Jakarta to the suburbs of Atlanta, the global report highlights the pervasive nature of water corruption — jeopardizing food supplies, hydroelectric facilities and sanitation services worldwide. Water is a resource without substitute. It is paramount to our health, our food security, our energy future and our ecosystem. While the report’s greatest emphasis is on the poor, it also catalogues misconduct in emerging and established economies. In China, for example, TI found that corruption undermines the effectiveness of environmental protection policies, abetting pollution and helping make nearly three-quarters of the nation’s urban rivers unfit for drinking or fishing. Billing irregularities are a universal problem, too, with residents worldwide being improperly charged for services. In Kenya, for example, many residents report that even questioning a water bill from the city can result in the cessation of services. In the United States, the report spotlighted an instance in 2006 where the residents of San Diego were overcharged for sewer services — the surplus was used illegally to subsidize the sewage operations of large industrial users. Small-scale bribery at the pipe occurs wherever water shortages limit supplies. In Port-au-Prince, wealthy residents pay to keep valves open longer in periods of drought. In Nairobi, 62 percent of water service consumers report witnessing or taking part in corrupt dealings, mostly in the form of bribes. While localized pay-offs are largely a problem in developing economies or severely water-stressed regions, more complex corruption occurs in the allocation of contracts and the water management of large industrial cities, the report determined. Water management officials in the municipalities of New Orleans and Grenoble have taken campaign contributions or gifts from contractors and subcontractors hoping to win city contracts or influence elections. In one case, a former official of the Chicago Department of Water Management was sentenced to nearly four years in prison for racketeering related to campaign contributions. The financial costs are staggering the report said. Experts predict that corruption will increase the cost of meeting the United Nations Millennium Development Goals for water and sanitation by over $50 billion (€35 billion). According to Dr. Donal O’Leary of Transparency International, between 20 to 40 percent of all investments in the water sector are lost to corruption. In her introduction to the report, 2004 Nobel Laureate Wangari Maathai of Kenya stressed the nefarious nature of water corruption: the exploitation of the poorest by the richest for a commodity that is vital to survival. 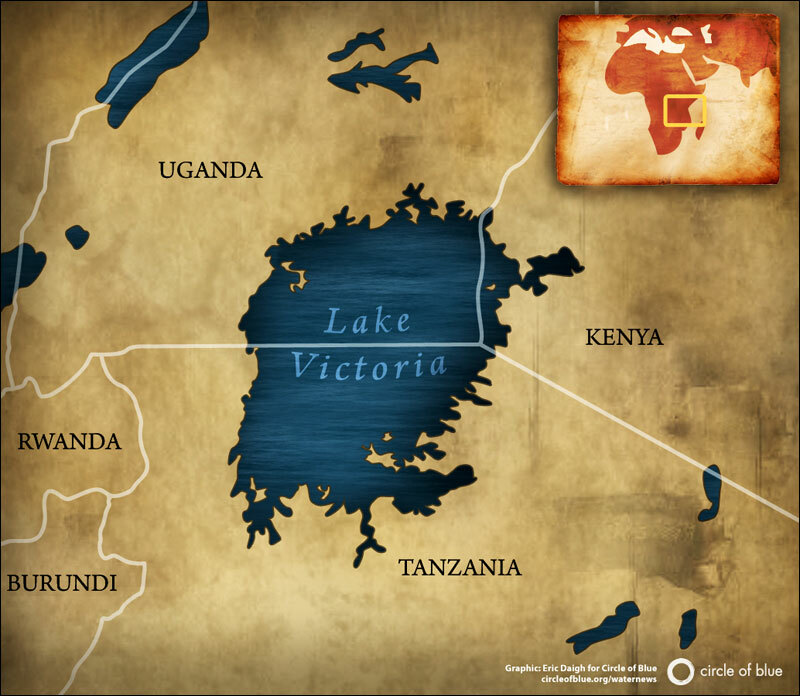 In East Africa, where water management projects and deforestation have significantly impacted the watershed of Lake Victoria — a transnational lake shared by Uganda, Kenya and Tanzania — problems of both corruption and general mismanagement plague the region. According to one report by the California-based environmental lobby group, International Rivers Network, Ugandan officials allegedly overdrew from the lake, causing a record 80-year low during early 2000. While the power of a single voice to fight organized corruption often fails, TI found that strengthening the voice of local communities and bringing water management down to the lowest levels of government can effectively curb corruption. In Porto Algre, Brazil, bringing public discourse into water management budgetary meetings helped to bring drinking water to nearly all residents. Giving more weight to votes of the poorest in the region also facilitated the installation of sanitation facilities in the homes of the two-thirds previously lacking service. This type of transparent management is best achieved when local governments directly interact with community members, the report found. The report also concluded that better education, greater awareness and increased accountability are necessary to counteract the influence of corruption in the water sector – problems that the international community has not yet confronted. C. T. Pope is a Circle of Blue staff writer and researcher. Additional reporting for this article was provided by Sarah Haughn. Reach them both at circleofblue.org/contact. Top inset photo by Sarah Haughn/Circle of Blue. Corruption kills, says Hakan Tropp, a contributor to the Global Corruption Report on water. The recent flood disaster on the Kosi River, which killed at least 2,000 people in Nepal and India, is the latest example for the vicious cycle between corruption and disaster. See http://www.internationalrivers.org/en/node/3303/ for more details.